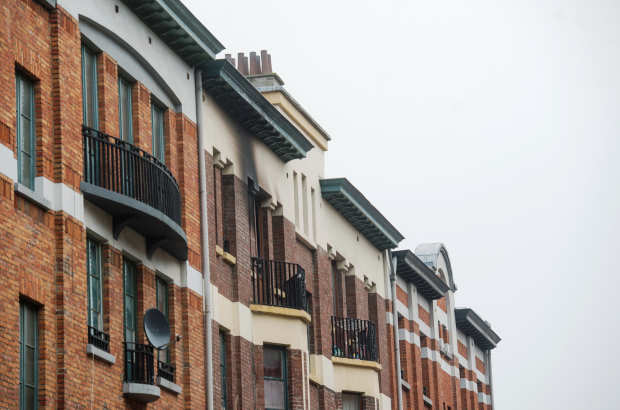 The Brussels public prosecutor has delivered its opinion that Foyer Schaerbeekois is to blame for the fire that killed a woman in a public housing project in Schaerbeek a year ago. It has advised the Correctional Court to file charges against the public housing service. The fire broke out at approximately 6.30 on 17 January 2017 in a third-floor flat in Rue Fernand Séverin. A pregnant woman who could not escape the flames jumped from a window and died later in hospital. Her three children, her husband and firefighters were also treated at hospital. The flat complex was managed by the Foyer Schaerbeekois public housing agency. Following the fire, tenants complained about the shoddy condition of the building, including faulty wiring and no smoke alarms. The investigation concluded that badly needed renovations and repairs to the building where never carried out. The prosecutor has asked the Correctional Court to bring Foyer Schaerbeekois up on charges of manslaughter due to negligence.